Listings for a new Windows 10 Intel Compute Stick have been spotted on various online retail websites this week priced at around $150. 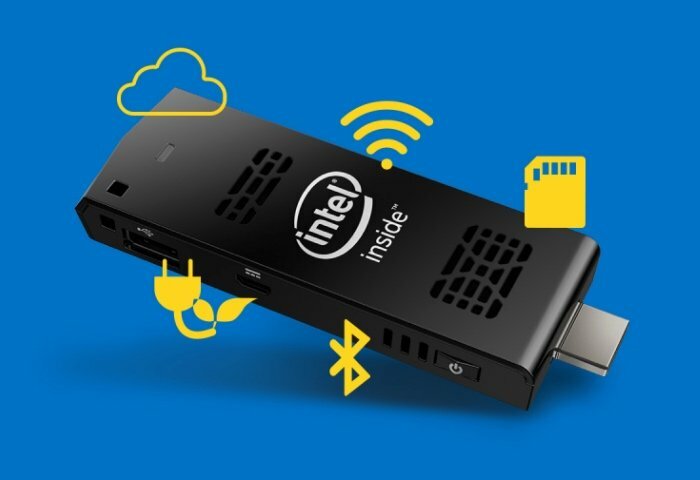 Although as yet Intel has yet to announce the availability of a Windows 10 version of its pocket sized Compute Stick computer. Previously the Compute Stick has been loaded with Microsoft’s older Windows 8.1 operating system as well as more recently been available running the Ubuntu Linux operating system. Users wishing to install Windows 10 would have needed to do this themselves. It now seems that Intel is preparing to start shipping the Compute mini PCs pre-installed with Microsoft’s latest Windows 10 operating system using the same hardware that has been previously used. To recap the Windows 10 Intel Compute Stick will be powered by an Intel Atom Z3735F Bay Trail quad-core processor supported by 2GB of RAM and include 32GB of internal storage. Other features of the pocket PC include a micro USB port, USB 2.0 port, HDMI, and a microSD slot as well as connectivity provided by 802.11b/g/n WiFi and Bluetooth 4.0. As soon as more information is officially announced by Intel about their new pocket Windows 10 stick PC will keep you updated as always.